The Wild Atlantic Wat boasts quite a reputation & you may have heard about it’s unforgettable sights & wonderfully warm welcomes – but what exactly is it? The Wild Atlantic Way is the world’s longest defined coastal touring route. If you want to go sailing in Ireland, this is place. From Malin Head in County Donegal, the country’s most northerly point, to Mizen Head in County Cork, the most southerly point, the route weaves and winds across 2,500km of beautiful coastline. Charter a yacht along the Wild Atlantic Way and experience a sailing adventure like no other. If you are interested in sailing courses in Ireland, the Wild Atlantic Way will serve up a challenging & beautiful trip. 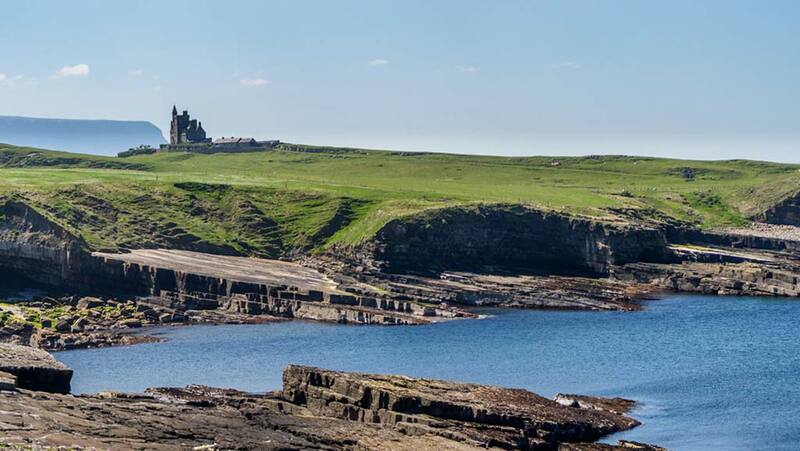 The Wild Atlantic Way website is the route’s official tourism information source and is operated by Fáilte Ireland, the National Tourism Development Authority. Here we provide essentials like maps, itineraries, region profiles and other comprehensive information to inspire you to visit this captivating coastal route. The website enables you to virtually explore the route and its 15 Signature Discovery Point highlights along the way. You can also use the site to plan and tailor your trip and to find the most useful and up-to-date information relevant to your stay. Encompassing six distinct regions, Northern Headlands (County Donegal) the Surf Coast (Counties Donegal and Sligo), the Bay Coast (Counties Galway and Mayo), the Cliff Coast (Counties Galway, Clare and Kerry), Southern Peninsulas (Counties Kerry and Cork) and the Haven Coast (County Cork); visitors can explore it all or divide it into individual sections. Explore the Route uses a map to outline the full coastal route of the Wild Atlantic Way, offering the option to select attractions and activities to enjoy as you go. The Trip Planner helps you to plan your perfect trip using pins to save your trip ideas to an interactive map that can be edited, printed or shared with friends. Not sure where to start and need a little inspiration? The Things to Do section presents activities by interest and must-see attractions as well as current festivals and events. Want to know top tips, first-hand experiences and insider knowledge from the people who know the Wild Atlantic Way best? Browse Stories and you’ll find plenty to whet your wild Atlantic appetite. Plan your trip provides an extensive listing of where to stay, things to do, the best nightlife, restaurants, events and a whole lot more in areas relevant to your visit. And while you’re enjoying the route? Don’t forget to stay in touch via Facebook, Twitter or Instagram to be the first to know the very latest news, insider tips, events, competitions, special offers and more.